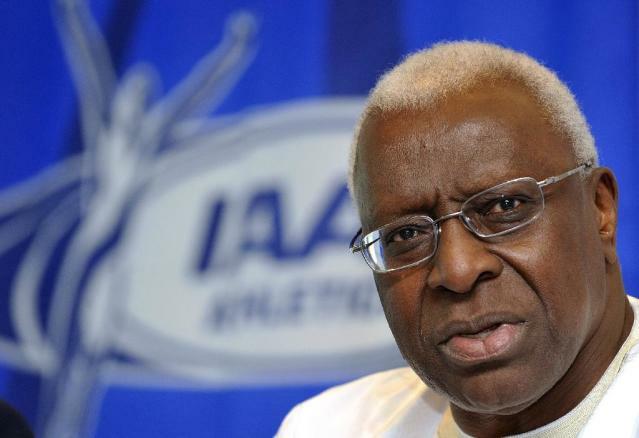 LAUSANNE (AFP) - Disgraced former IAAF president Lamine Diack on Tuesday resigned as president of the International Athletics Foundation in the wake of damaging corruption charges that have rocked track and field. "The IAAF confirms it has tonight (Tuesday) received a letter from Lamine Diack resigning his position as President of the International Athletics Foundation (IAF)," the IAAF said in a statement. "This information has been passed to IAF Honorary President HSH Prince Albert II of Monaco. "Discussions will be held in due course regarding the IAF and the appointment of a new IAF President." Established by the IAAF in 1986 by then-IAAF president Primo Nebiolo, the foundation's "primary mission is to charitably assist the world governing body for track and field athletics... and its affiliated national governing bodies in perpetuating the development and promotion of athletics worldwide". Diack took over as foundation president after Nebiolo's death in 1999. The foundation is best known in the public eye for organising the prestigious black-tie gala awards, which honour the best athletes of the year. The IAAF last week cancelled this year's annual gala just days after Diack was charged by French police with corruption over suspicions he took bribes to cover up doping cases.